Space Shuttle or Space Transport System is a retired partically reusable low Earth orbit launch system developed by NASA. Shuttle components included the Orbiter Vehicle (OV), a pair of recoverable solid rocket boosters (SRBs), and the expendable external tank (ET) containing liquid hydrogen and liquid oxygen. There were 5 Space Shuttles certified to fly to space: Columbia, Challenger, Discovery, Atlantis, Endeavour. Between 1981 and 2011 there were 135 missions. Space Shuttle carried Spacelab, Hubble Space Telescope, Galileo, Magellan, Ulysses and majority of International Space Station segments. Space Shuttle program was also part of ISS Expedition rotation. Despite all successes, there were 2 disasters. On January 28th, 1986, 73 seconds in the flight, due to O-ring in the right solid rocket booster failed to seal, external tank disintegrated and destroyed the Space Shuttle Challenger. All 7 crew members were killed – Commander D. Scobee, Pilot Michael J. Smith, Mission Specialists Ellison S. Onizuka, Judith A. Resnik and Ronald E. McNair, and Payload Specialists Gregory Jarvis and Christa McAuliffe. SRBs were destroyed by Range Safety. On February 1st, 2003, during reentry, Space Shuttle Columbia disintegrated due to its damaged thermal protection on the left wing caused by a piece of foam detached from the external tank during launch. All 7 crew members were killed – Commander Rick D. Husband, Pilot William C. McCool, Mission Specialists David M. Brown, Kalpana Chawla, Michael P. Anderson and Laurel B. Clark, and Payload Specialist Ilan Ramon. The Space Shuttle operated out of Space Launch Complex 39A and 39B at Kennedy Space Station and should operate out of Space Launch Complex 6 at Vandenberg Air Force Base but after Challenger disaster it was decided to be unused. I recommend turning on "Advanced tweakables" in KSP settings. 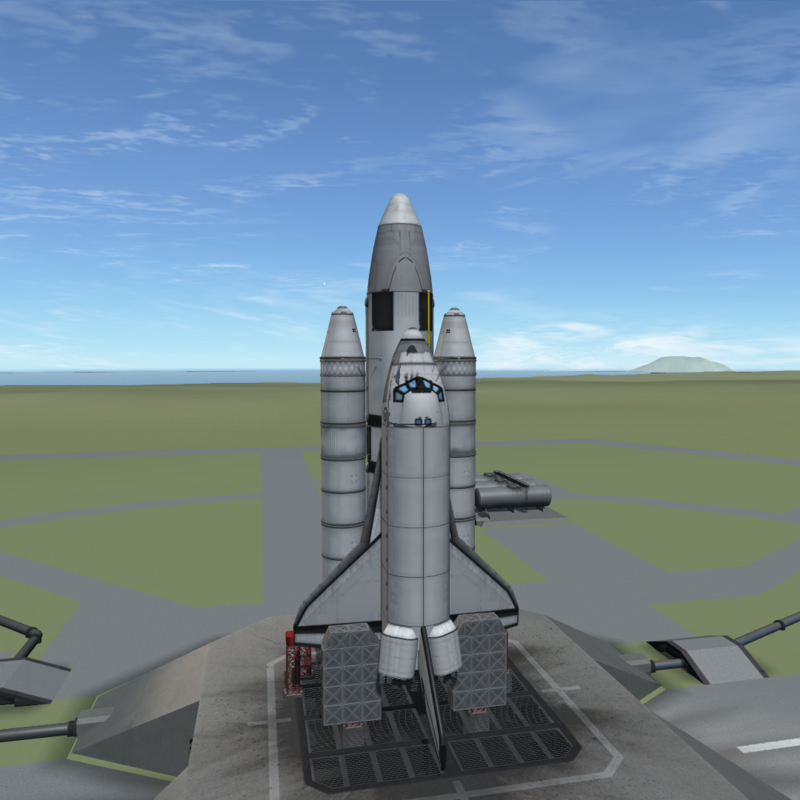 To download each Space Shuttle, go to the "Files" section. Here are my other projects. Thank you very much. I really appreciate it from you.